All taken with a simple camera in 2012. You will also find some photos in google by searching “blue nile gorge”. The waterfalls that the search returns, I have not seen. It is not at the crossing. Do you want me to contact some of the good photographers on the tour to ask them if they have some good photos for you???? This is after crossing the border from Sudan (at 500m above sea lever) up to the highlands of Ethiopia (at 2500m above sea level). Pal Fritsvold mentioned the other day you were working on a top 100 climbs in the world for 2018 and The Blue Nile Gorge climb in Ethiopia was among them. He was asking for photos of the climb you may use. I don’t have many great ones, but here are a few I have, feel free to use them or not. 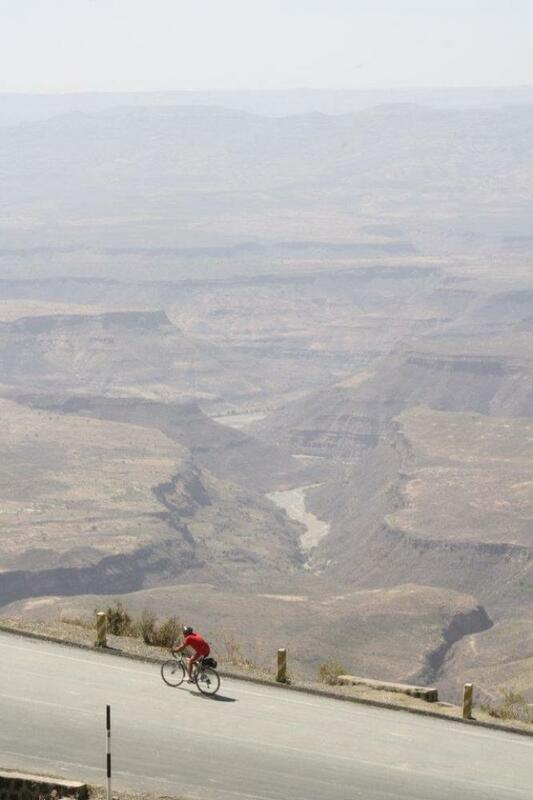 I did the climb as part of the Tour d’Afrique in 2013. These are just smaller versions given sending over email, I can supply full version if need be, they’re not great! There were professional (and very good amateur ) photographs on our trip who I’m sure (and in fact know) have amazing photos of it, they’ve all been notified of this on facebook so hopefully they share their photos.